Faisal told party workers the importance of poll booth management—from ensuring that voters reach the booths to making sure that they cast their votes—in winning elections. How to mobilise voters and galvanise them against the BJP? 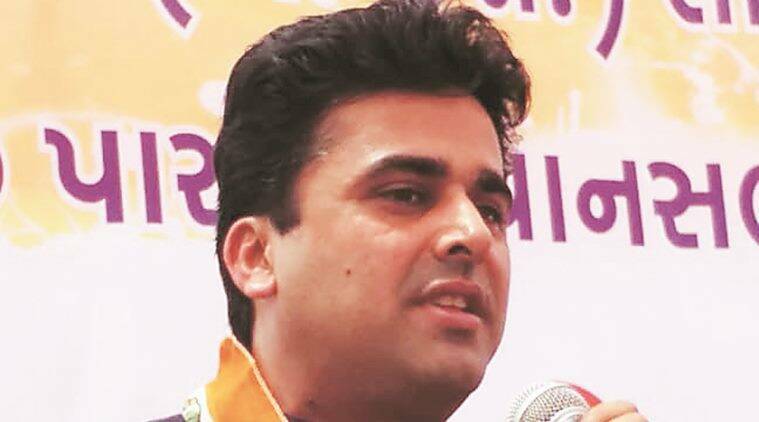 Thirty-eight-year-old Faisal Patel, son of AICC treasurer and senior Congress leader Ahmed Patel, on Sunday addressed party workers in Valsad and Bharuch districts, giving them pointers on how and what issues to raise to mobilise voters in favour of the party with a view to defeating the BJP in the parliamentary elections a month away. Faisal told party workers the importance of poll booth management—from ensuring that voters reach the booths to making sure that they cast their votes—in winning elections. He asked grassroots workers to remind people about how the Union government’s demonetisation and hasty implementation of GST resulted in massive unemployment. He also talked about raising other issues such as the weakening of national institutions like the Central Bureau of Investigation and the Reserve Bank of India by the BJP-led NDA government and the alleged rampant corruption in the controversial Rafale deal benefiting a corporate house. Faisal said he would address party meetings in other parts of the state as well. “But my focus would be mainly Bharuch and nearby areas,” he said. Faisal Patel, a management graduate from Harvard, has been engaged in social work for the past decade in the tribal belt of South Gujarat, particularly Bharuch, Narmada, Tapi and other districts, through his HMP Foundation, which runs a multi-specialty hospital and mobile dispensaries that provide medical services free of cost.